Maintenance is scheduled for 04:00 EST on April 28th. It's estimated to last around 2 hours and might be shorter. We thank you for your patience during this time. 1. Smash egg event is online from April 28th to May 4th. A. 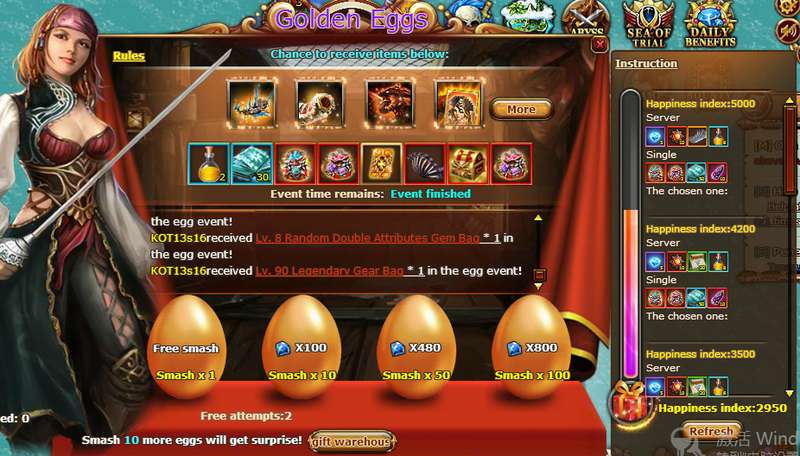 You can get rewards and obtain score by smashing the egg! B. The player who break the score boundary will get personal rewards, all players in the server will get server rewards as well. 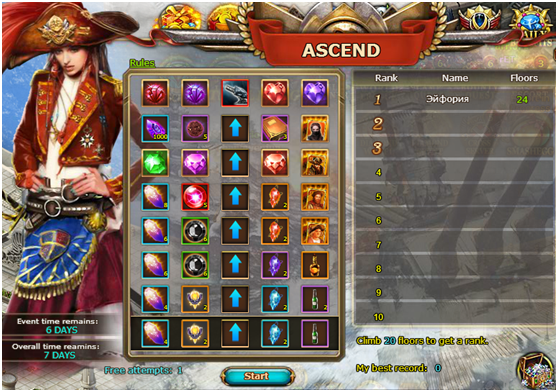 2.Ascend event is online from April 28th to May 4th, rank reward claim time is May 5th. A.	Click ‘start’ to jump to a grid on random and obtain the item in the grid, if the content is up arrow, climb up. B. Reach the summit and get prize, then restart from the very beginning. C.	The floors rank will base on the total floors you climb during event period. D.	Each player has one chance for free to climb every day. After that, it needs diamond to continue climbing. E.	The climb progress will be reset to the 1st floor each day. 3. 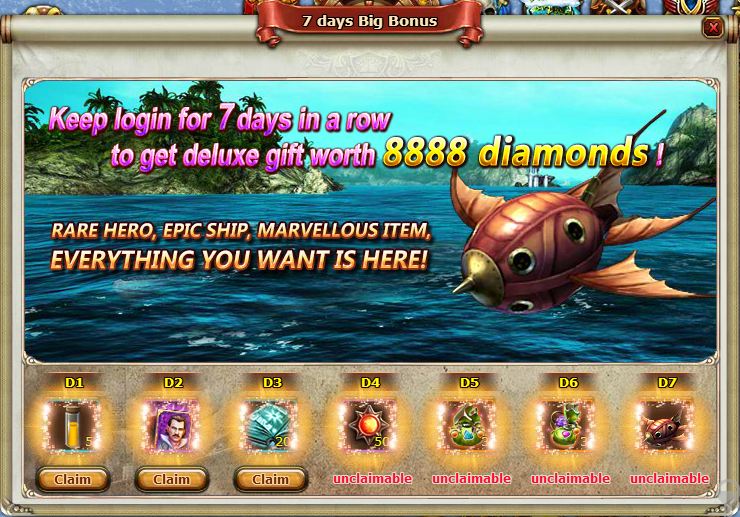 Diamond wheel event is online from April 28th to May 4th. A. 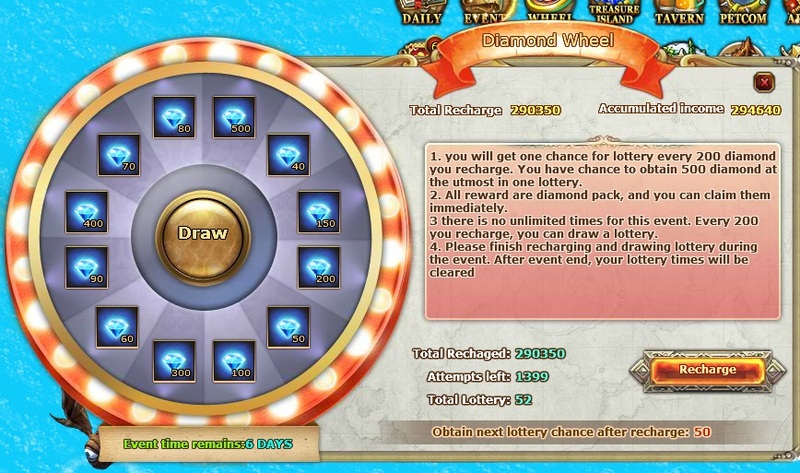 You will get one chance to spin wheel every 200 diamond you recharge. B. All rewards in the wheel are diamond pack, and you can claim them immediately. C.	There is no limited times for this event. Every 200 you recharge, you will get one chance to spin wheel. D.	Please finish your spin during the event. After event end, your spin times will be cleared.